Happy Monday, dear readers! I hope your week is off to a great start! This weekend flew by and I got a lot of work accomplished! I made some serious headway on my holiday gifting craft projects, and I'm hoping to finish up one of them tonight for my monkey-loving toddler niece. I'd share details, but I know her momma occasionally pops in here so I'm going to have to keep that a secret, but trust me, it's awesome! I also was able to get a little nail art done, and I wanted to share my look with you today. Let;s jump on in! 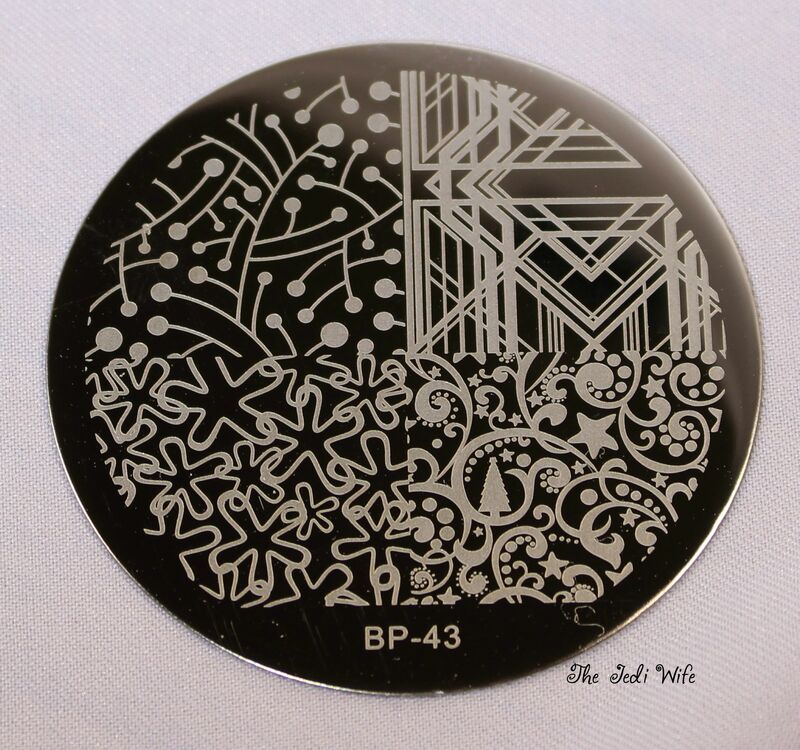 I have this beautiful stamping plate BP-43 from Born Pretty Store (which, by the way, is on clearance for only $0.79 here so now is a good time to pick it up!). All the images on this plate are lovely, but the holiday star, tree, and swirls just begged to be used in the latest When Colours Collide challenge. 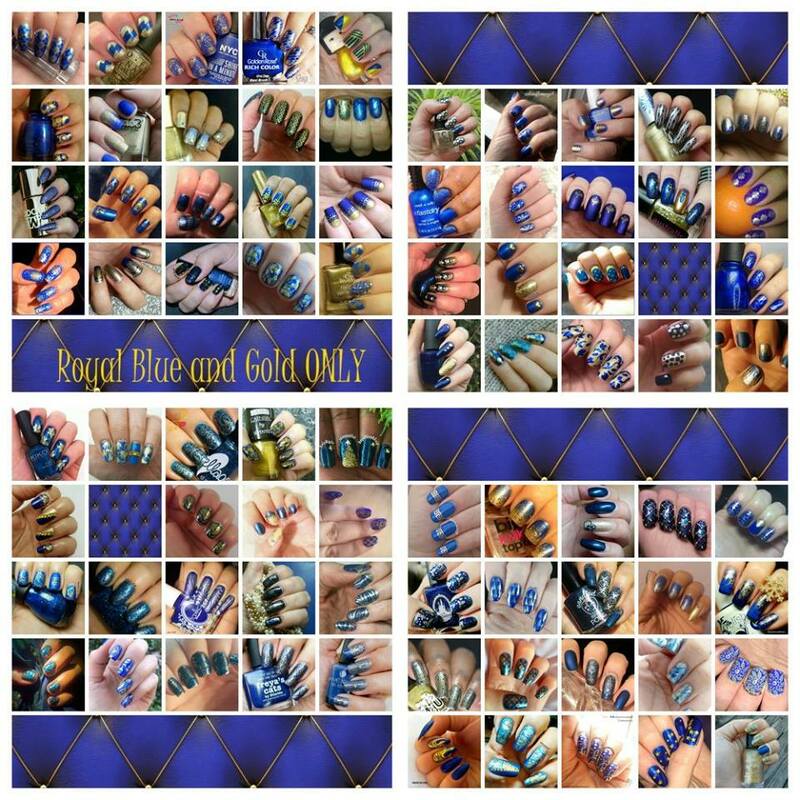 The prompt from the Facebook group was royal blue and gold, and it all paired together beautifully! Let's check out my manicure! I started off with Ellagee Heart of the Indie, a gorgeous custom shade Laura created for her blogger team, as my base. 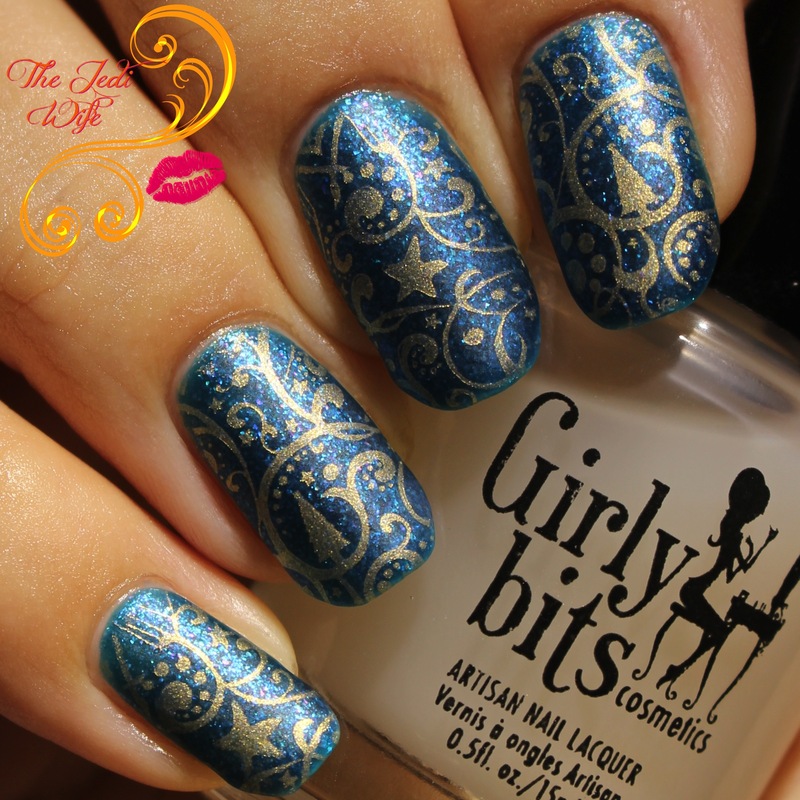 I then stamped the beautiful star, tree, and swirled pattern with Girly Bits Cosmetics Golden Ticket. The combination is magnificent, and this image stamped perfectly for me! The only thing that could possibly make this manicure better was to make it matte....which I did! 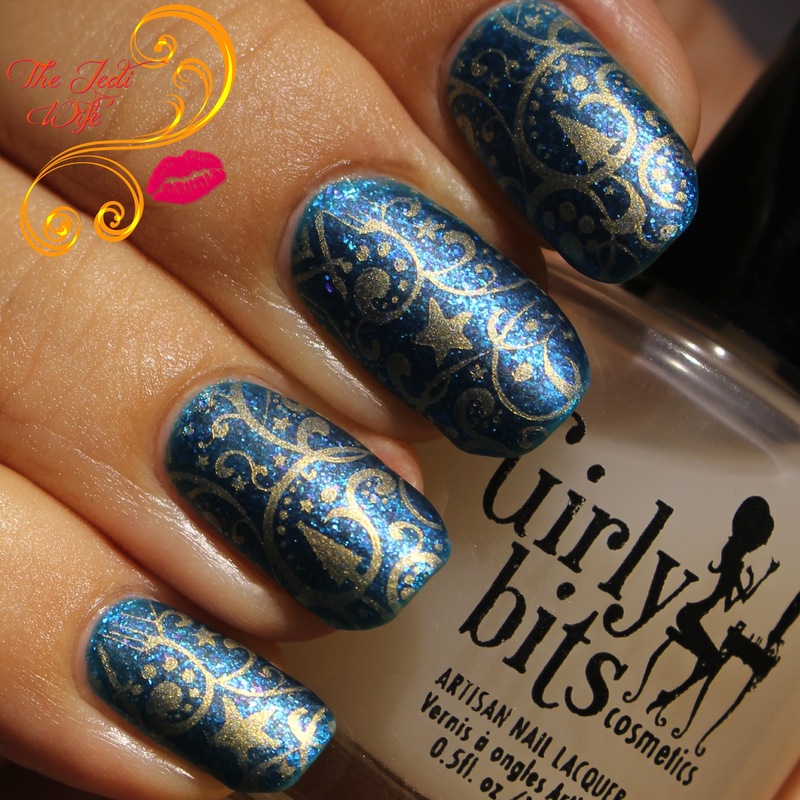 I added a coat of Girly Bits Cosmetics Polish Matte'rs to really let the microflakes of the blue pop and bring the gold stamping polish to life. While I usually prefer shiny nails, this is one of those times where I am so glad I opted to go with a matte finish! As I mentioned previously, this stamping plate is available on clearance here. It's a great plate since it has this beautiful image as well as other non-seasonal images. While at the Born Pretty Store site, check out all they have to offer for your nail art needs! You can even save 10% off your full-priced items with discount code QWL-91. I really loved the colour prompt for this challenge, and I wanted to include the collage of all the nail art looks created with the prompt. The next one is red and green, and you are more than welcome to join us if you so desire! Very pretty! I love your color choices. This is just lovely and I LOVE the matte finish!!! Wow!!! I love the blue and gold combo. It's unexpected for Christmas so I like it! That pattern almost looks like it has a Christmas tree in it! Very pretty! 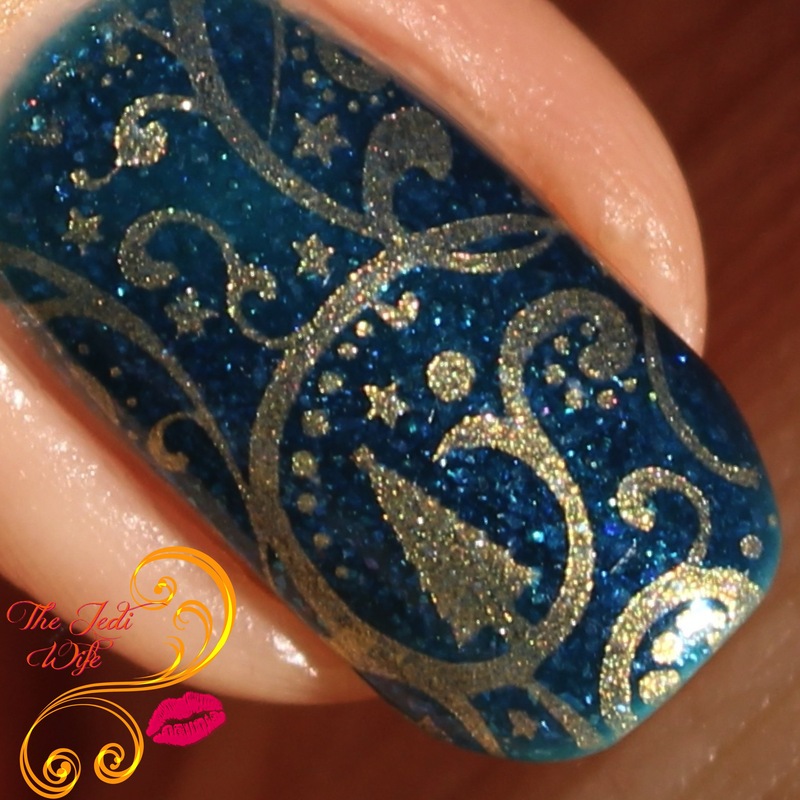 I love the blue and gold, together and the Christmas theme is perfect. Also, I'm intrigued by the bottom left stamping image on that plate. The patterns on that plate are a lot of fun. I like the one you chose for this. Blue and gold always go together! Blue and gold is a gorgeous combination. 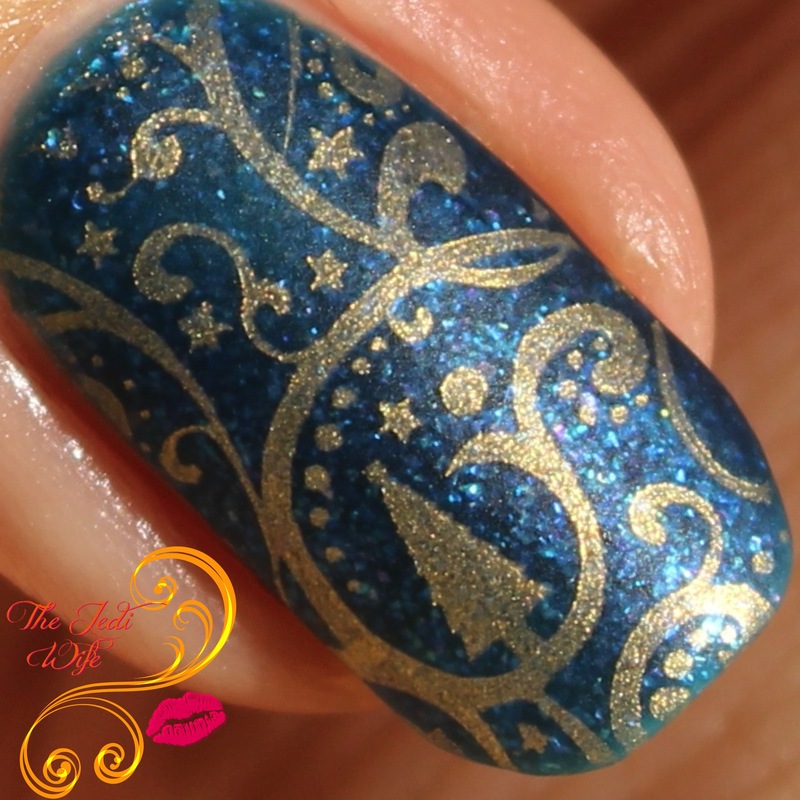 I love the stamping pattern - it is perfect for Christmas! Very pretty! I love it with the matte top coat! Such a random plate, but those little trees are adorable! Yay! You participated! I love your mani. Very pretty manicure -- I love the mattified look, too! That is such a beautiful stamp, I love the color combination you chose! What a FUN design! I think I'd wear the stamped nail as an accent nail on each hand rather than every nail as it's a little busy for me.